Building an email list is hard work. Unless you have the right tool. 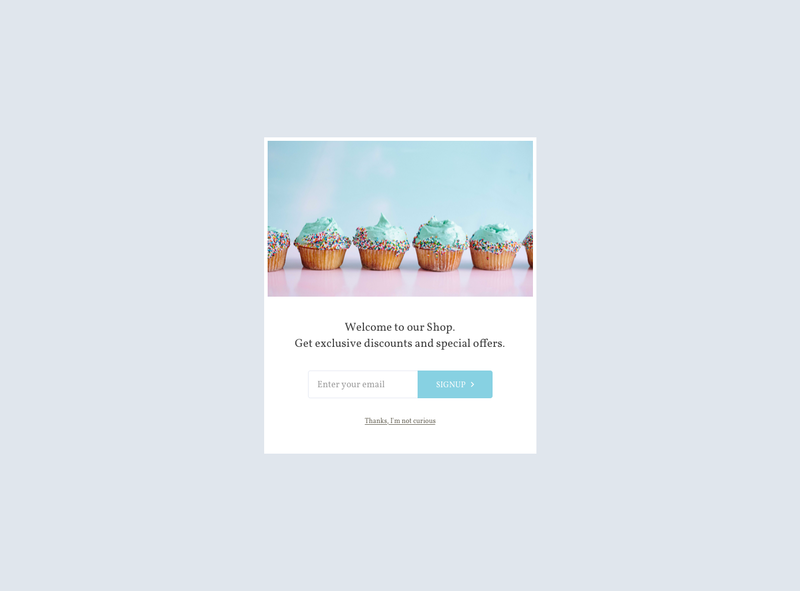 WisePops makes it easy to design email pop-ups that convert visitors into subscribers. Welcome pop-ups, coupon giveaways, sweepstakes modals, or exit offers are just a few clicks away. Plus, you can rely on our more than thirty targeting options to segment your campaigns for higher results. Targeting mobile visitors from a specific country, users from a given Facebook ad campaign or logged-out visitors takes less than a minute. Assess the results of your campaigns and A/B tests with a detailed reporting page that lets you follow your performance campaign by campaign. Take things further with our Google Analytics integration and discover where your pop-ups are displayed and where they perform best. Creating a list-building machine has never been easier. 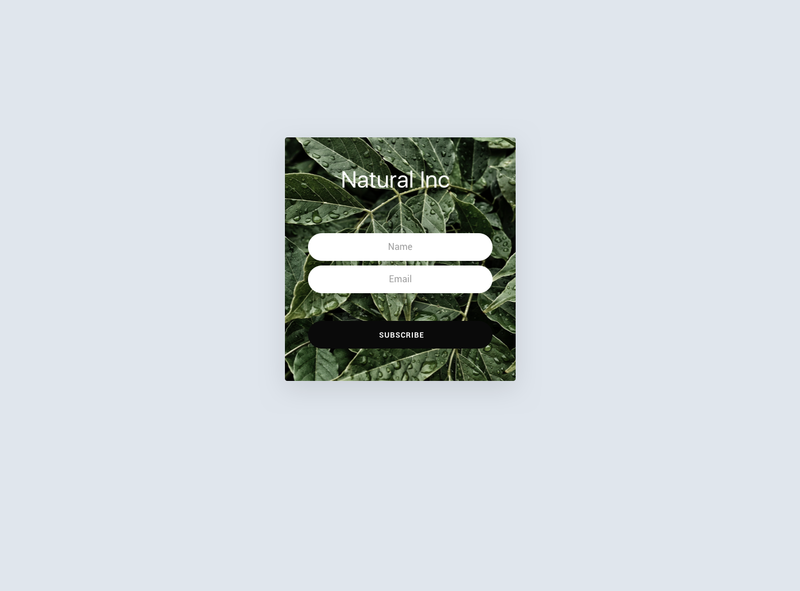 Select an email capture template or start from scratch and add an email capture field. Customize the design by simply dragging and dropping blocks and adapting elements. Prepare your target and select who will see your campaign — new visitors, returning visitors, mobile users, etc. Turn on your campaign and start collecting emails and leads right away! 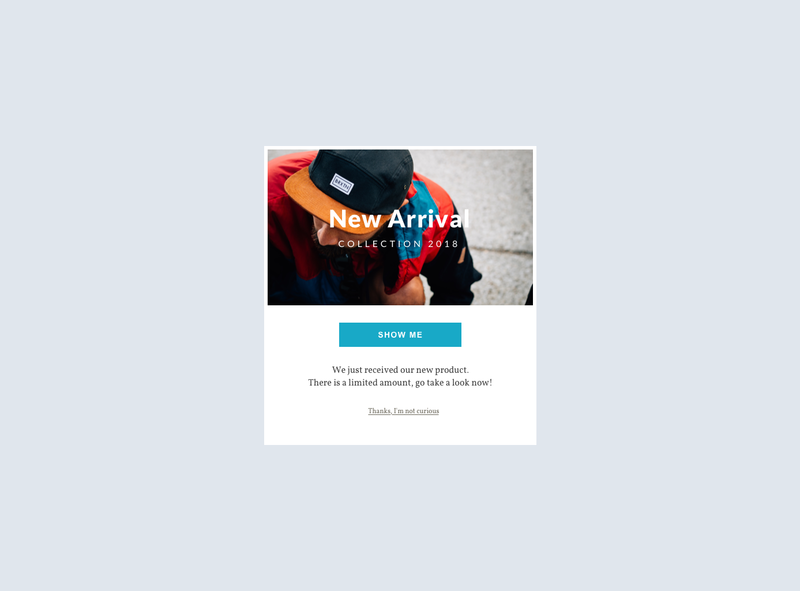 Email pop-ups are powerful, especially when you can benefit from 30+ targeting options and a flexible design. With WisePops, convincing visitors to subscribe to your newsletter is a cinch. In a world where mobile represents more than half of the web traffic, mobile lead generation is a major concern. 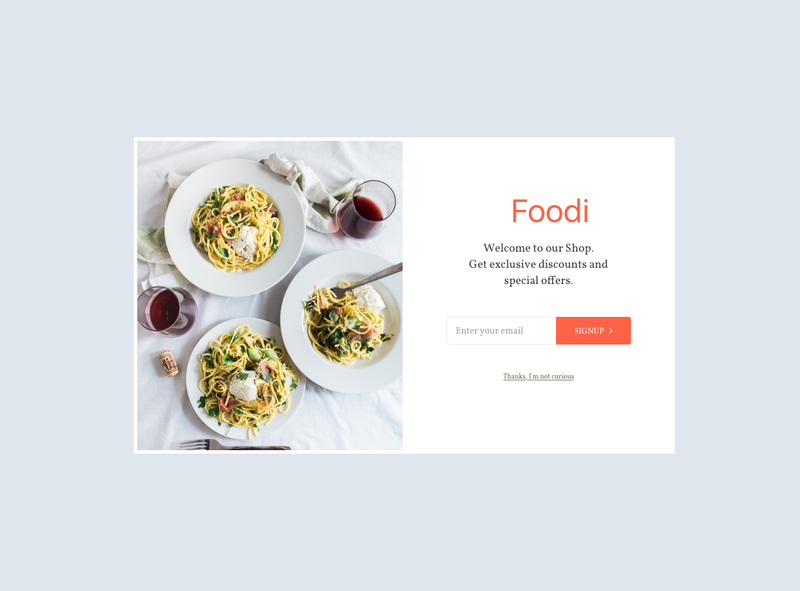 Design pop-ups that are 100% compliant with Google guidelines on mobile pop-ups and display well on mobile devices. Add mobile visitors to your list of potential subscribers. Would you like to complement the email addresses with a name? A country? An age range? With WisePops drag and drop builder, it’s easy to collect as many details as you need about your subscribers so you can later personalize the emails you send to them. WisePops is not limited to email pop-up forms. 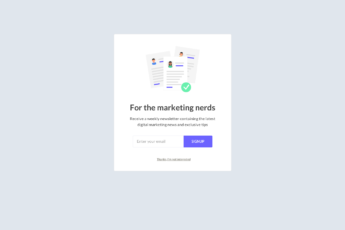 Use our tool to retain abandoning visitors, promote your sales, collect feedback, inform your visitors, announce new features, etc. 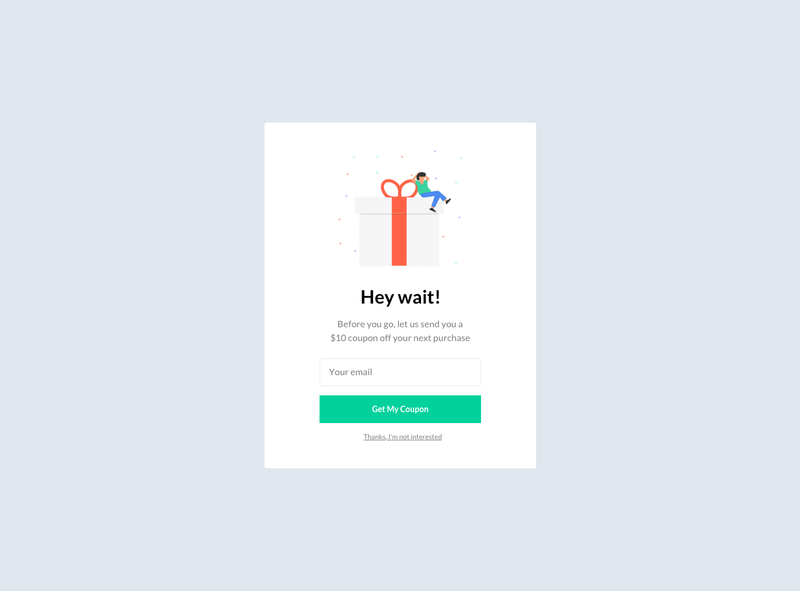 What makes a great opt-in pop-up? Well, a lot of elements, from the copy to the targeting, to the offer, to the design. 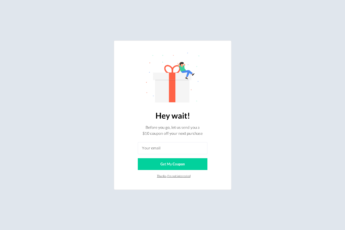 Learn how to master these elements and increase your pop-ups’ subscription rate. Ready to design your first campaign? 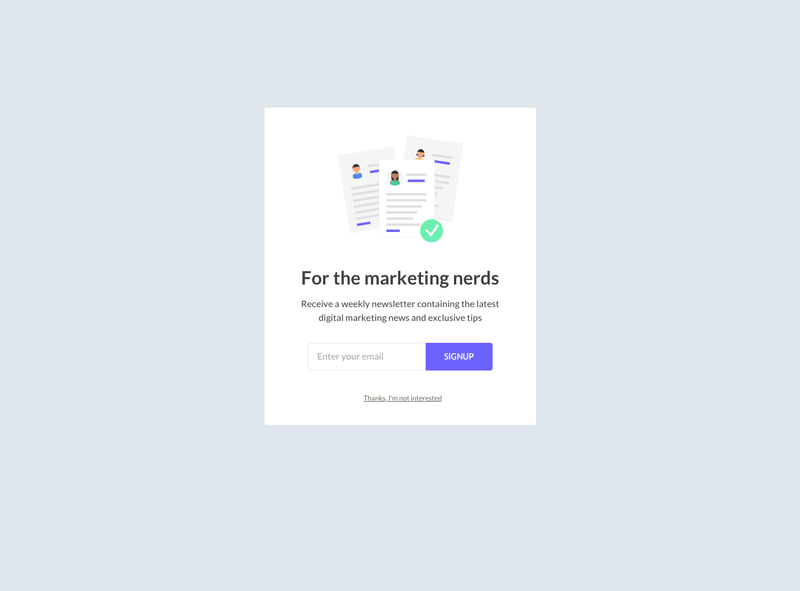 Get some inspiration with a selection from the best lead capture pop-ups from all around the web. Basic pop-ups, mobile pop-ups, blogger pop-ups, you’ll find all kind of examples. Writing a convincing headline is crucial to get your visitors to pay attention to your pop-up. In this article, we explain how to write better headlines. 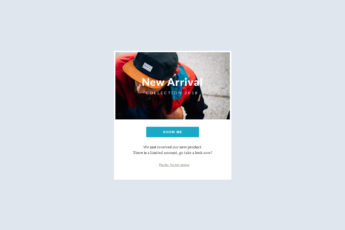 Build your sign-up pop-up form in just a few clicks with our intuitive drag and drop editor. 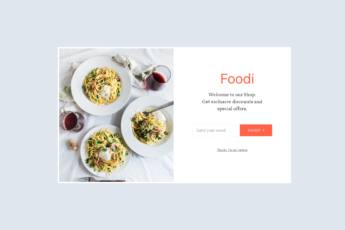 Designing new pop-up campaigns or updating your existing lead capture campaigns is easy and doesn’t require the help of a developer or a designer. WisePops is compatible with all websites. Whether you’re running a WordPress website, a Shopify store or any kind of website, the setup only takes 2 minutes and can be done through Google Tag Manager. We’re also available to help you through the setup process. 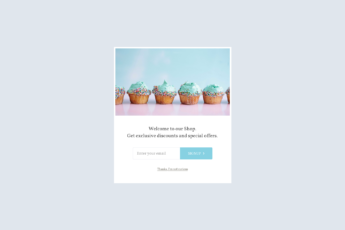 Getting your visitors to subscribe to your newsletter or getting your leads to share their email address requires displaying your opt-in pop-up at the right time. With WisePops, you can build advanced display scenarios that convert intuitively. Never miss an opportunity again! 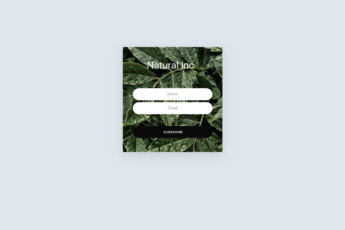 Use our native integrations, our email API, our iframe option, or our Zapier integration to automatically send your new contacts to your emailing solution, and start making the most of them instantly. Get access to precise reporting to measure the results of your pop-up marketing efforts. Follow how many displays, clicks and email adresses you get. Take this a step further with our Google Analytics integration. Split test your campaigns with a single click, and take your campaigns to the next level.